"The marine industry's most powerful electric propulsion system." The Electric Wheel motor technology delivers matching torque levels to the prop without the cost and regular maintenance of traditional gasoline or diesel motors. Web Site Snapshot: If available, above is a snapshot of the Solomon Technologies web site at http://www.solomontechnologies.com/ as it appeared when this site was added to the directory or last verified. Please Note that Boat Design Net has no involvement with the above web site; all content and images depicted in the above thumbnail are the property and copyright of Solomon Technologies unless otherwise noted on that site. 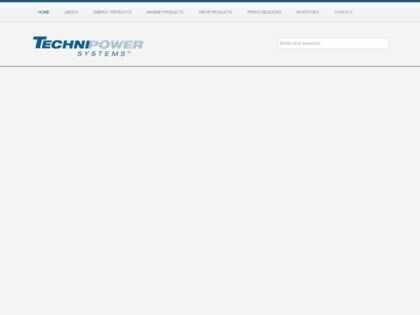 Description: "The marine industry's most powerful electric propulsion system." The Electric Wheel motor technology delivers matching torque levels to the prop without the cost and regular maintenance of traditional gasoline or diesel motors.